Some of you do have more badges than us at the moment, and it might just stay that way. 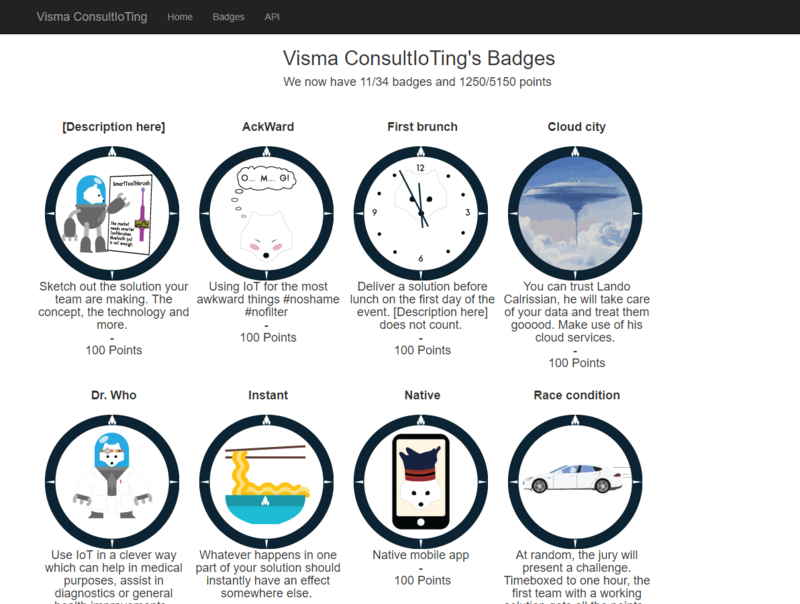 We do however have a nice dashboard to display our badges, and we want to make it available to you. Almost. step 1 is correct, then you can create a database and configure the connectionstring. In the dashboard, there is an "admin" page where you can select witch badges you have or not. Of course I wanted to add support for the nice API the judges exposed to us yesterday, but I have not made that a priority during the hackaton. You can however do it and make a pull request. With this post we are shooting for the "Make love, not war" badge.